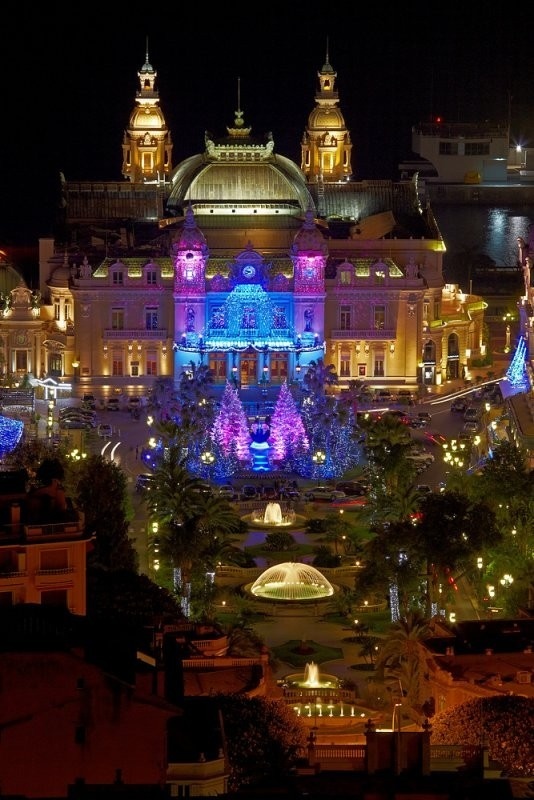 The Monte Carlo Casino is a gambling and entertainment complex located in Monte Carlo, Monaco. It includes a casino, the Grand Théâtre de Monte Carlo, and the office of Les Ballets de Monte Carlo. The Carlo Casino is owned and operated by the Société des bains de mer de Monaco, a public company in which the Monaco government and the ruling family have a majority interest. The company also owns the principal hotels, sports clubs, foodservice establishments, and nightclubs throughout Monaco. The idea of opening a gambling casino in Monaco belongs to Princess Caroline, a shrewd, business-minded spouse of Prince Florestan I. Revenues from the proposed venture were supposed to save the House of Grimaldi from bankruptcy. The ruling family's persistent financial problems became especially acute after the loss of tax revenue from two breakaway towns, Menton and Roquebrune, which declared independence from Monaco in 1848 and refused to pay taxes on olive oil and fruit imposed by the Grimaldis.